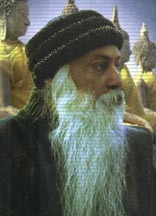 The Osho Neo Reiki was developed by Osho Rajneesh himself in 1988. The Osho Neo Reiki includes more powerful meditations and also the attunement. The Osho Neo Reiki also provides an opportunity to heal any one on faster rate and work on Kundalini as well. This program also offers different Levels like Junior Healer, Senior Healer and Reiki Master etc. The Osho Neo Reiki is about 150 times more powerful than the Traditional Reiki and The Karuna Reiki. SHRI SHIV SAI has guided me to attune people in 400 different ways for all levels upto the Grand Master Level. The Osho Neo Reiki is for those who wish to excel in the field of spirituality. Everyone is spiritual to the some extent. You can find new avenues for spirituality within your heart. All attunements in the Osho Neo Reiki are done on the lower chakras. In the Osho Neo Reiki programs the necessary litreture and the certificate is provided to the participant. This The Dedicated-Spirit Webring site owned by Dr.Sameer Kale .